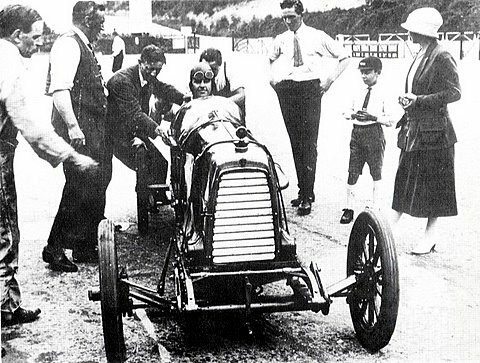 Italian born and raised in England, A.C. "Bert" Bertelli was a pioneer in early auto racing. Some manufacturers start as roadcar makers and make racecars, but a select few start as racecar makers and become roadcar makers. 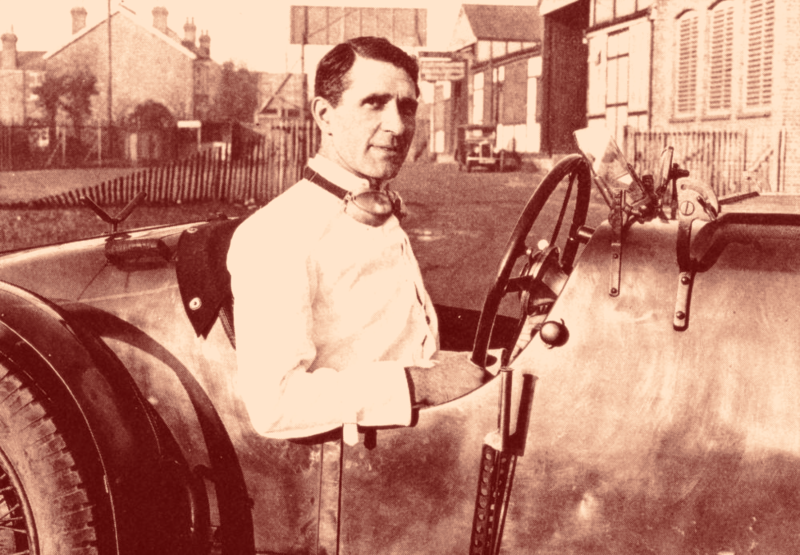 Augustus Cesare Bertelli, one of automotive racing history’s only driver, owner and manufacturer combos, was the man that made this transition possible for Aston Martin. 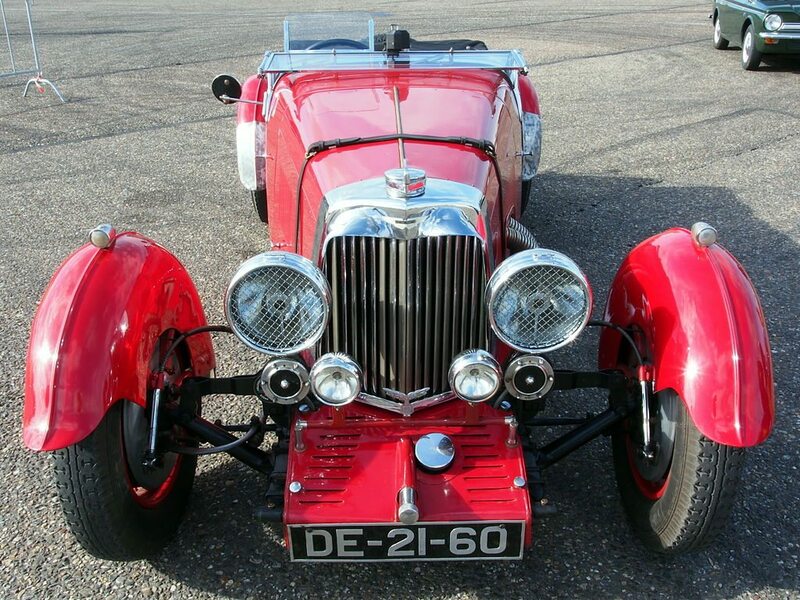 Aston Martin didn’t always make posh exotic cars, they started by making stripped down, single-seat race cars. They had a slow start. Just as founders Lionel Martin and Robert Bamford were finishing their first production car, World War I broke out, and the company’s equipment was sold off to Sopwith Aviation Company when they joined the war effort. They had only made a few racecars up until this point, including the “Razor Blade” seen here. It wasn’t until 1920 that Aston Martin was refounded with funding Count Louis Zborowski, a racer and engineer himself. For four years they managed to make a few cars and break a few records, but went bankrupt in 1924, was revived once more with nobel money, and then failed yet again in 1925. Then in 1926 Augustus Bertelli, along with a group of investors, took over. From 1926 to 1937 Bertelli was Aston Martin’s technical director and designer. Also a racer himself, he became one of the few people in racing history to be a driver, owner and manufacturer. The cars made during this era have since been called “Bertelli cars,” because of A.C. Bertelli’s comprehensive influence on the cars’ design and production. The MKII – bicycle fenders and an open cockpit, what more do you need in a vintage racing car? During this time Aston Martin Motors made cars with 1.5 liter engines like the “International”, “T-Type”, “Le Mans”, “MKII”, “Ulster”and a 2 liter racer called the “Super Model”. During this time, road cars became Aston Martin’s focus, and after being financially bailed out a few more times by various English noblemen during the 30’s, this is where their focused remained. That is, until another World War interrupted their production in favor of aircraft parts. Most of the cars Aston Martin produced during the Bertelli era are considered “Classics” (with a capital “C”) by the Classic Car Club of America (CCCA) because of their exceptional build quality and place in automotive history. Bertelli made true Classic cars, that are still celebrated and raced today. If you’re interested, you can see some of Bertelli’s cars in action at Heacock Classic-sponsored SVRA racing events across the country. If you have an Aston Martin or another collectible you’d like to insure with us, let us show you how we are more than just another collector vehicle insurance company. We want to protect your passion! Click below for an online quote, or give us a call at 800.678.5173.